Hatteland Display's Naval Multi Display (NMD), has been chosen for the US Navy Freedom Class LCS by Navantia, Spain's foremost military ship building contractor. The Navantia system is an Electro-Optical (E-O) solution for the fire control system of the Freedom Class. It is an extremely high-tech solution that is also selected by the American company Lockheed Martin. "We have worked closely with the Navantia R&D team in southern Spain, which has led to participation in various ship and submarine programs for local and export contracts," says Mehdi Bounoua, Manager Region South Europe, Hatteland Display. "As a result of this work, our new rugged NMD 20.1 inch display was selected by Navantia for its sophisticated combat system." The new NMD meets the requirements of MIL-S-901D, Grade A, Class I shock, eliminating the need for shock isolation in the rack or console, as well as Mil-Std-167-1, Mil-Std-461E, and Mil-Std-810F. 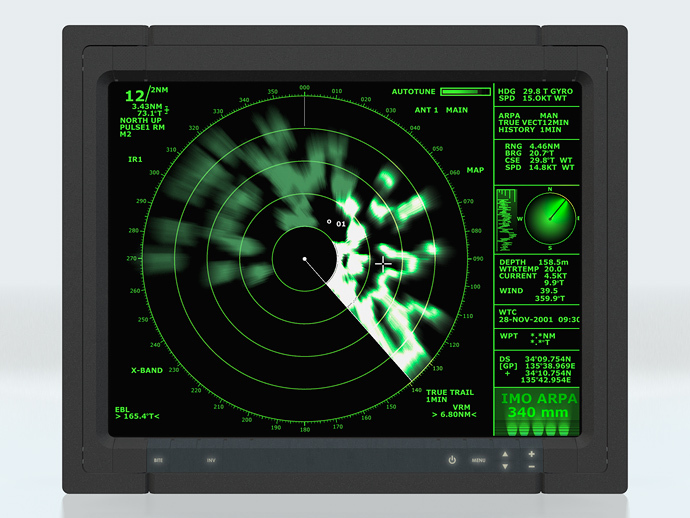 It incorporates a high-contrast UXGA resolution liquid crystal display and has been designed as a drop in replacement for existing displays, and is therefore ideally suited to the demanding naval new-build or retrofit market. The Navantia system using the NMD will be equipped on the new Freedom class of Littoral Combat Ships (LCS) in the US. These highly manoeuvrable ships, with semi-planing mono-hull design, capable of doing over 45 knots (83 km/h/52 mph) will operate in coastal areas. One of the ships, the 378-foot USS Freedom was commissioned Nov. 8, 2008 and will be home ported in San Diego where the new Hatteland Display USA office is located. It is expected to be deployed in 2012. "We have supplied mission critical C4 solutions for navies worldwide so the new NMD is a natural progression of this work," commented Brede Qvigstad, Director - Naval & Defence, Hatteland Display. "It has all the qualifications, it meets the specifications, it has added value, it benefits from our unique in-house technology such as optical bonding and it will integrate with existing systems as well as new systems." Visit www.hatteland-display.com to find out more about Hatteland Display's extensive range of naval & marine displays, computers and panel computers.